"Minmi Trench has great fishlife, excellent sponge life and a trench"
Michael McFadyen's Scuba Diving - SS Woniora The SS Woniora was a collier built in Newcastle, England, by Richardsons and launched in April 1863. The new vessel was 42 metres long, 6 metres wide and displaced 226 tons. She had three bulk holds to carry coal and three masts which carried sail to assist her passage. Powered by a simple 90 hp two cylinder engine, one of only two to be found on NSW shipwrecks (the other is the SS Lady Darling at Narooma), she got steam from a single coal-powered boiler. The original owner was Lloyd & Company of Sydney (I think that this company owned Bulli Coal Company as it was later reported that the ship was always in the ownership of the Bulli Coal Company) and the ship was named after Woniora Point on the northern side of Wollongong. Her port of registration was Newcastle, New South Wales. The new ship left Newcastle, England, on 20 May 1863 under the command of Captain James Conrad Schoobert. She arrived in Sydney on 22 September 1863 after over four months at sea, along time for even those days. Even though the ship was registered in Newcastle, NSW, the ship operated from the southern Illawarra coalfields to Sydney for a lot fo the time, but as you will see, she ranged wide and far. On 21 June 1864, the Brisbane Courier reported that while on a voyage from Sydney to Jervis Bay, the Woniora had encountered an abandoned boat, the Black Ball Company's Prince Consort 24 miles south of the Harbour. She put the Chief Officer and a seaman aboard. Later, the SS Kembla was sent from Sydney and towed the Prince Consort back. The main mast was totally gone and the fore-top, fore-top-gallant and mizzen-top masts were also gone. It was not reported what had happened to the crew. 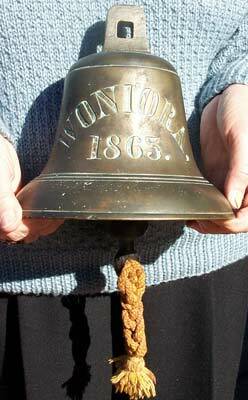 On 11 July 1866 the Woniora was anchored near the Bulli wharf. At the same time, a ship called the SS Corio was at the wharf loading coal. She was the first steam powered vessel to carry coal from Hexham on the Hunter coalfields to Sydney in June 1862. Also nearby was the schooner Tiger. This vessel dragged her anchor under strong winds and was headed for the shore when the Woniora passed a line to the smaller vessel. Unfortunately, before the Woniora could pull the Tiger to safety, the Corio which was leaving the wharf, was hit by a large wave and forced between the two ships cutting the tow line. The Tiger launched her lifeboat and five crew climbed aboard and headed for the shore. However, it capsized and two men and a boy drowned. The Tiger ran aground. The Corio left port the next day and was never seen again, disappearing in the huge storm that was just starting. The Captain of the Woniora later stated that he saw the Corio the morning of Thursday 12 July 1866. The same storm saw a huge devastation along the NSW coastline. On 12 July 1866 the SS Cawarra hit the Oyster Bank at the entrance to Newcastle Harbour and was lost with all but one dieing. On 13 July the schooners Lismore, Caroline and Seagull sank off Newcastle. All died on the later two boats. On 14 July, HMS Esk was lost off Sydney Heads and the Rhoderick Dhu was lost north of the Heads. It was also reported that the Woniora was missing as she had not arrived in Sydney Harbour after leaving Bulli on 12 July. It turns out that she sought shelter in Botany Bay and on 17 July 1866 the Illawarra Mercury reported that the Woniora had been found but the Corio had not been found. Ownership of the Woniora was in later years acredited to the Bulli Coal Company, although this may have been the same owners as in 1863 with a different name. On Saturday 7 September 1867 the SS Woniora arrived at Bulli Jetty to load yet another load of coal. There was already a vessel at the jetty, the Matador. She was a barque (249 tons gross built 1847 in Surrey, Maine, USA). At the same time, the barque Bright Planet was anchored off the jetty waiting for time to load coal. Both had arrived a few days earlier. When the Matador attempted to leave the jetty, the wind was southerly changed to south-east and then picked up to a gale force. The wind caused the Bright Planet to drag its anchor and it was destroyed when it ran aground. The Matador could not pick up the wind and make headway and she too was forced aground and destroyed. On the night of 26 June 1873, the Woniora was heading out of Sydney Harbour when she ran down a small boat off Balls Head. The three persons aboard were said to be feared drowned. A body was found on 3 or 4 July 1873. On the night of 7 June 1880, the SS Woniora was on her way from the Illawarra coal fields to Sydney when she ran aground on Bondi Beach. She was apparently high and dry. The next morning at 6 am, the ship was refloated after 100 tons of coal had been jettisoned overboard. It was towed off without any damage to the ship. The SS Woniora arrived at Bulli at about noon on Saturday 28 October 1882 with Captain Henry Lauridson in command. She began loading coal and by 4.10 pm 242 tons of coal was loaded into the three holds and the ship set off for Sydney. The weather was not the best, it had been raining all afternoon and the seas were large from the east. Before leaving Bulli, the holds had been trimmed and the hatches and tarps put in place (sometimes ships left in rough conditions without trimming the coal - for example the SS Tuggerah when she sank in 1919). The weather got worse after the Woniora left Bulli. At 8.30 pm when off Cronulla, two crew members, including her newest crewman, Heindrich Frederickson (12 days on board), were sent to take in the forestaysail to reduce the speed of the ship. After completing this task, they headed to the galley for some protection. However, a heavy swell hit the ship so they made their way to the crew quarters in the forecastle. It was now 9 pm and the rain was falling heavily. The ship was three miles off Cape Solander, the southern headland of Botany Bay. The seas were still easterly and the large swells appear to have "bumped" the coal in the holds to port, thus taking a list to that side. Frederickson reported that the ship took a very heavy list and did not recover. It appeared to him the the ship was about to sink so he headed for the outside of the ship as water poured in. He saw Captain Lauridson order the helmsman to "put it hard up" but before the ship could react, she rolled over. One of the two lifeboats was underwater and Frederickson and some other crew members attempted to launch the second boat but were unsuccessful. The ship started to sink. The crew jumped clear of the sinking ship. Frederickson swam for a while before finding a plank which he used as a floatation device. He came across one of the lifeboats, upturned and with a crewman clinging to its hull. This crewman started struggling with Frederickson and grabbed his leg until Frederickson flung him off. He was not seen again. Wave action righted the lifeboat some time later and he climbed aboard. He strapped the plank to the boat to give some stability and using an oar, he steered the boat towards the safety of Botany Bay. About an hour later he saw Cape Banks, the northern headland of the Bay. He came in through the heads and at about 2 am he landed on the beach near Kurnell. He promptly fell asleep in the bush. He awoke at dawn and followed the sound of a rooster to the house of a fisherman, Charles Beaker. Mr Beaker sailed across to La Perouse to the Custom Station. The authorities were informed by telegraph from the station of the accident. The famous pilot steamer, Captain Cook, was sent to Botany Bay to search for survivors. Wreckage was found on Bare Island, including the ship's binnacle. Other wreckage from the Woniora was washed ashore at Botany. The wreckage included a plank with the name Woniora painted on it in two places, boats, rudder, four hatches, a door and other items. No bodies were recovered. The Captain Cook collected Frederickson and at about 9.30 or 10 pm on Sunday 29 October 1882 they arrived back in Sydney Harbour. Frederickson was the sole survivor of the shipwreck. It is certain that John Ross was second mate, not C. Petersen, as in Islandmagee, County Antrim, Northern Ireland, there is a a head stone erected by Robert Ross that says in part "Also his son John who was drowned by the foundering of the steamer Woniora off Botany Head, New South Wales, on the 28th Oct. 1882 aged 23 years. You would also think that it was unlikely that the cook was the same C. Petersen who was the second mate. 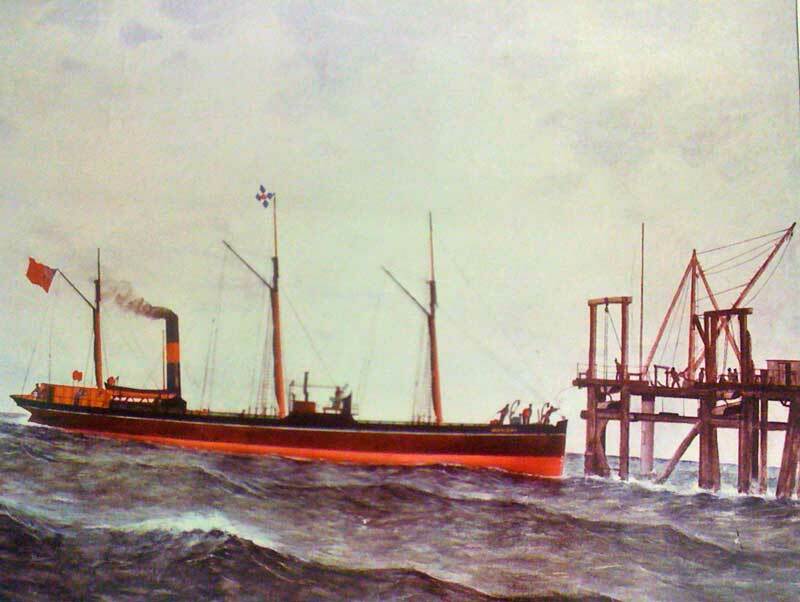 On 2 November 1882 a Marine Board of Inquiry began into the sinking of the SS Woniora. The sole survivor of the wrecking, Heindrich Frederickson, gave evidence at the Inquiry as did the Manager of the Bulli Coal Company, George Hamilton. Mr Hamilton said that the skipper of the vessel was able to stop loading of coal at any time so that in poor weather a smaller amount was carried. The Superintending Engineer of the Company also gave evidence that the ship was well maintained and that the Company had never hindered him in ensuring that the ship received any necessary maintenance. On 8 November 1882 the Inquiry found that "The Woniora was lost in consequence of having been too deeply loaded with coal and from having probably been driven too fast to contend with the exceptional heavy weather". No action was taken against the Bulli Coal Company. On 11 November 1882 the National Shipwreck Relief Society granted pecuniary aid to the widow of Captain Laurisder and the other families of the crew. On Friday 21 November 1882 the Society held a meeting with Captain Hixson, RN, presiding. At this meeting, the widow of Captain Laurisder was granted £64 15s which he was entitled to as a long-standing member of the Society. She was also granted an additional £250. Mrs Rice, wife of the Chief Engineer, was granted £103 (in addition to the £20 already provided - presumably on 11 November). Requests by Mrs Page and Peterson were deferred for later consideration. On Tuesday 21 November 1882 a rumour was going around that the mast of the Woniora had been seen above the water off Botany Heads. As we now know, this was a false rumour. On 12 December 1882 it was reported that £300 had been raised for the widows and orphans of the crew of the ship. The date on it is correct - is it a copy or fake? In 1985, Max Gleeson, well known Sydney wreck diver and author, became aware of a wreck off Botany Bay. On 24 May 1987, Max was shown the position of the unknown wreck by a fisher. 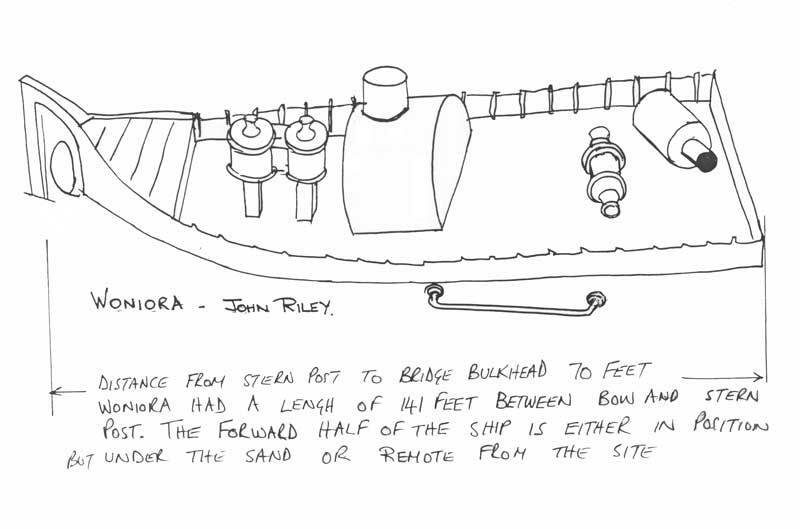 He actually recorded the wreck on his depth sounder but as it was in 64 metres and he had never dived this depth in Sydney, he sought the assistance of John Riley who was more experienced in diving to this depth. Their first attempt to dive (apparently on Saturday 30 May 1987 with Mae Elliott) was unsuccessful due to a very strong current and a south-easterly wind (which made it impossible to anchor on the wreck). Mae had to work later that day so they had to give up. Max decided to dive in a few weekends time with his regular buddy, Mae Elliott (who worked some weekends). 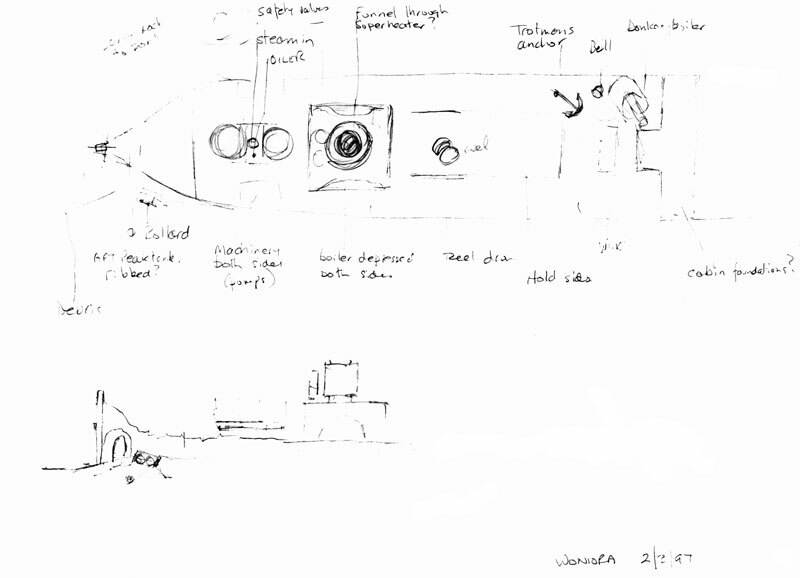 In the meantime, (and this is where Max and John's storys differ), John went out with someone else to (as he apparently told Max) run his magnetometer over the site to see if it was indeed a wreck. This happened on 14 June 1987 (in Max's article he mistakenly says he saw John at his house on Friday 13 June but it was Friday 12 June). Max told John there was no need as the fisher had told him he had pulled pieces of wreckage up. On Sunday 14 June 1987 (according to Max - 21 June according to John - note this is different to John's article mentioned below which says 30 June), John turned up at Max's place with the bell of the Woniora. John had dived the wreck with someone called Kevin Laybutt. As one can imagine, Max was a bit upset and this was the end of their diving relationship. 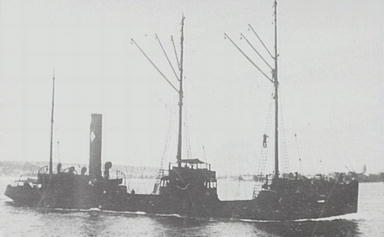 Therefore, it is probably true to say that the wreck of the Woniora was found by Max Gleeson (at least as far as scuba divers are concerned) but John Riley and Kevin Laybutt were the first to dive it. As I indicated, the wreck of the Woniora is at a depth of about 63 metres. The GPS Mark is 34° 01' 23.1"S 151° 15' 32.0"E. Note that all the GPS Readings on my Web Site are taken using AUS66 as the map datum. If you use another datum you may be about 220 metres off the wreck. See my GPS Page for more details and how to convert readings. The marks above detail how to find the wreck and a more detailed verbal description is given in GPS and Marks Page. The wreck comes up quite large on a depth sounder and it is fairly easy to find. The best bet is to run in or out on the centrepoint tower mark (put the tree in middle or left side of building) until the wreck shows up on your depth sounder. It is, however, hard to anchor on and you need to drop right on the wreck. As the wreck is located exactly in the centre of the entrance to Botany Bay, certain precautions need to be taken when planning a dive on this wreck. This means that you can only dive this wreck when there are no ships entering or leaving Botany Bay. You will need to check with the Harbour Master the day before to ascertain a one and a half to two hour window when there are no ship movements. You will again need to check on the morning to see if this has changed and plan your dive accordingly. The wreck is lying roughly north-south, with the bow facing the north. As mentioned above, the sand is about 63 metres, and the dive averages at least 62 metres. Starting from the stern, you will find the stern post, rudder and prop. One blade of the prop sits above the sand, the other two are totally buried (normally). Forward, there is the engine, standing quite high (59 metres) above the rest of the wreck and in front of it, the boiler. This stands even higher, reaching 58 metres. On the top of the boiler you can see the bottom of the funnel. All along this section of the wreck, and even forward from here, the sides of the hull stand a metre or so above the sand. The main part of the wreck is 21 metres long. In front of the boiler, the hull is not visible but there is an item (which John Riley identifies as the donkey boiler) and a large winch. There are also some other items which I have not yet identified. There are also many items on the eastern side of the bow. I am not sure yet what they are. Fishlife is also quite prolific on the wreck, with lots of nannygai, yellowtail and other fish. Considering the size of the wreck, it was quite a surprise to me to see the size of the wreck on my depth sounder, it looks much larger than the description and is easier to find than the wrecks of the SS Undola and SS Annie M. Miller. This is probably Sydney's most exciting shipwreck which is accessible to non-technical divers. I have only dived the SS Woniora once (with one other attempt when the anchor came off the wreck as we were descending). It is a wreck I intend doing a few more times. This is a very deep wreck, located in an area prone to currents and tides. It should only be dived by very experienced and properly equipped deep divers when the conditions are very good. Do not take this warning lightly.